Welcome to our Pool Pavers Section! Your pool is one of the most important features of your property. It serves as a welcome respite after a tiring workday or a refreshing break during hot and humid days or nights. It’s just right then to ensure that your pool looks and functions the best it can. And when it comes to improving the safety, beauty, and functionality of pool areas, your choice of pool pavers is a vital factor. Fortunately, there are a lot of exciting options that you can choose from. Materials such as brick, rubber, concrete, and natural stones (bluestone, travertine, granite, marble, sandstone, limestone) are just some of the excellent pool pavers available. Whether you’re a contractor or a property owner, these paving materials will surely help you come up with excellent pools that can be enjoyed for decades. Aside from the wide options of paver types, it’s also possible to choose from numerous designs, patterns, and themes. For example, you may choose from various patterns, such as herringbone, running bond, zigzag, parquet, as well as custom patterns. Meanwhile, you could also take your pick from these colors: tan, golden copper, caramel, apricot, sandstone, rust, and many more. When it comes to shapes, you may choose square, pentagon, oblong, octagon, rectangle, oval, hexagon, diamond, and the like. It’s also possible to mix two or more shapes to achieve interesting patterns that will create a focal point out of your pool area. Please take time to watch these very informative videos on the uses and benefits that pool pavers can provide. Pool decks. The area around the pool must be slip resistant to avoid slip-and-fall accidents. It should be attractive to make the pool area stand out easily. In this regard, you may choose pavers, such as flagstone, brick, sandstone, or rubber since these paver types are both slip resistant and decorative. Pathways leading to pools. The areas close to the pool should also be made to look stunning and safe from accidental slippage. Good thing there a lot of excellent pool pavers that can ensure these. Sitting walls. Aside from pool lounges and chairs, sitting walls can also provide a welcome rest from all those hours doing laps or just wading in the pool. Steps. Steps leading to the pool are likewise needed to be aesthetically superior, as well as guaranteed safe. This is possible with the use of premium pavers. Meanwhile, when it comes to the installation of premium swimming pool pavers, there are certain things that you must consider. You must determine the design that will complement your property’s general theme or design. 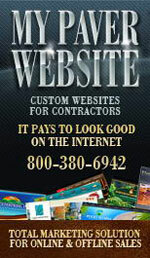 Likewise, also consider your budget, as it will be vital in deciding which specific material to use. Lastly, try to determine your specific needs. Do you need a sitting wall and other amenities? Or you’ll just focus on the pool deck? These factors will ensure that you’ll truly benefit from and enjoy the various pool features that your contractor will create for you. Do you want to see how pool pavers can make your property stand out? Then take a look at these eye-catching photos of different pools made of premium pavers. 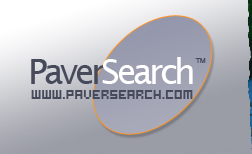 Below is a list of Pool Pavers Resources throughout the United States.